I heard a great tip from a local radio station that I thought was share worthy. The tip was offered to husbands who need last minute gift ideas for their wives, but it would work for anyone. The tip is to check out your loved one’s Pinterest Boards for gift ideas. What is Pinterest you may ask. 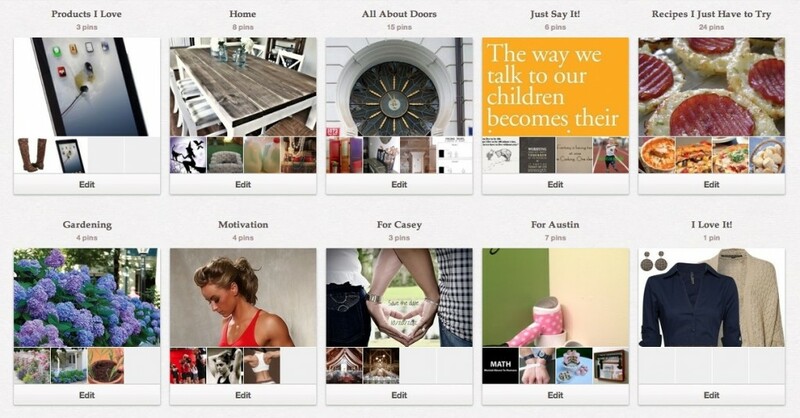 Pinterest is a virtual Pin Board (Bulletin Board) – A pin board is sort of like a scrapbook or wish list, if you will. You can have multiple boards and name them what you want. Like “Gotta Have This!” board. You can pin a great looking pair of boots to a “My Fashion” board, or a beautiful bracelet to a “Pieces I Love” board. Best of all you can browse pin boards created by other people. This is where the tip comes in. You can search for people by name in the search box. If you can access your wife’s pin boards you have a plethora of gift ideas for her! Now, of course if you’re a Doork like me, you have a pin board that is dedicated to unique doors & hardware. Which wouldn’t be such a great place for my husband to look for my wish list! Hopefully this tip will help you get a gift your loved one will treasure. Especially if you can do it without them knowing how you did!